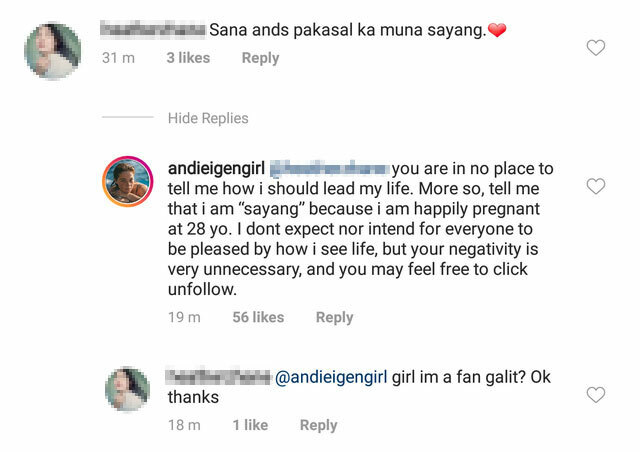 Andi Eigenmann has a history of giving the most ~epic~ responses to comments like these! She's happily pregnant with baby #2, and she is "fully cherishing every moment of her pregnancy." 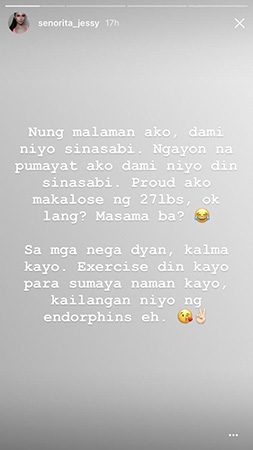 After Rhian Ramos posted a photo of herself during the 2018 Eddy Awards, many of her followers commented appreciatively on her look, but one basher went so far as to body shame her for lacking curves! 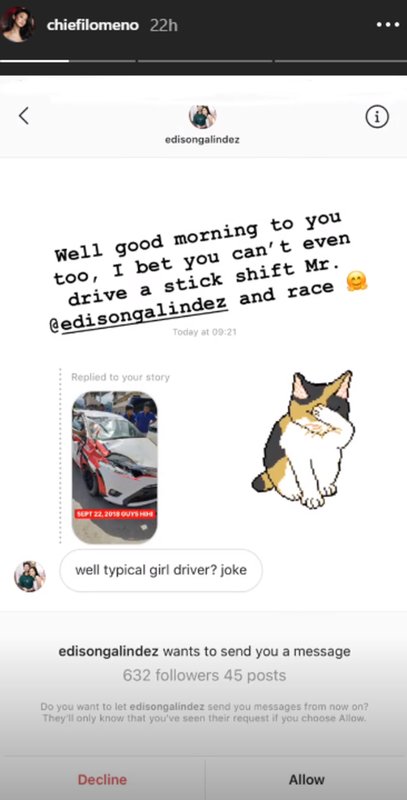 An Instagram user replied to one of Chie Filemono's IG stories, implying that women can't drive as well as men. Really, in this day and age?! 4. 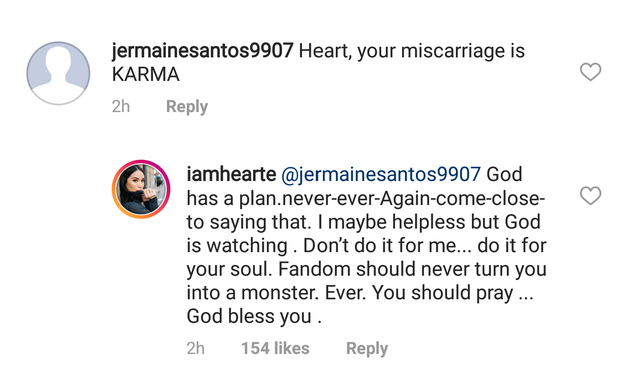 Heart Evangelista's classy comeback when a basher called her miscarriage "karma"
Sadly, it seems like there will always be people who are determined to put others down, like this hater who commented on one of Heart Evangelista's Instagram photos. Heart said goodbye to her baby girl named Mira in June 2018, a time when she also took a break from social media. 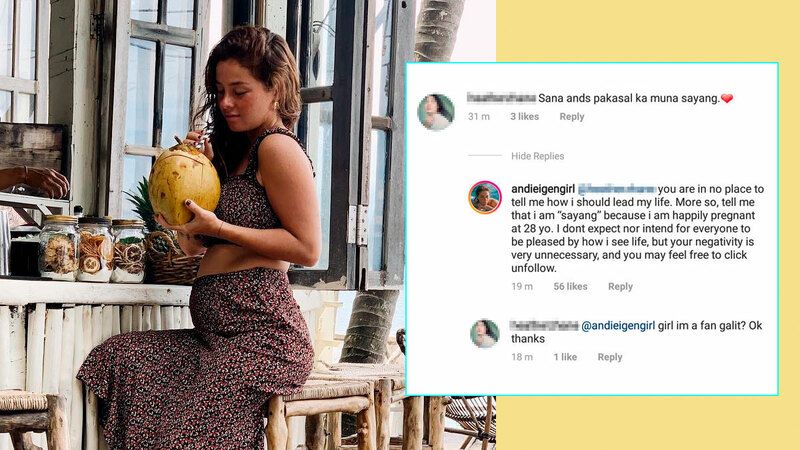 A follower questioned Andi Eigenmann's new life in Baler, Aurora after she left her artista life behind and sold most, if not all, of her belongings in August 2018. 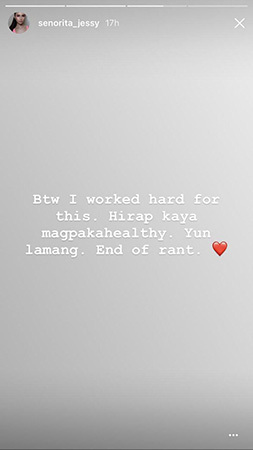 After posting about her best friend Dani Barretto's engagement to Xavi Panlilio, Bela Padilla received neverending hate comments on the internet such as "Tapos ikaw po, wala pa. Haha. Saklap." 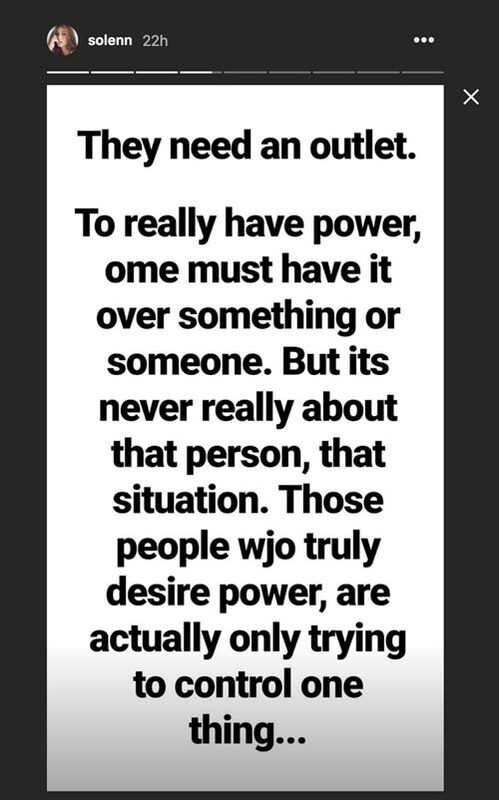 Bela replied, "Sakto lang naman." Another said, "Taga-plano ng kasal ng best friend pero sariling love life wala?" 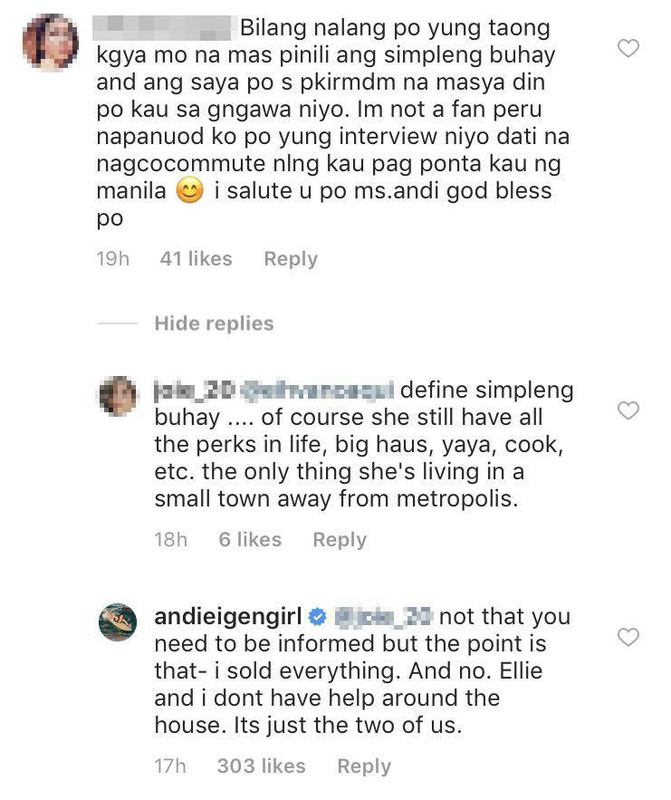 Bela said, "Ano pong point?" She also posted a photo of herself with the caption "To stop the 'when are YOU getting married' comments, please enjoy this photo of me, not thinking of my future as much as you are." When Coleen Garcia shared that she almost didn't make it to the 2018 ABS-CBN Ball, a basher decided to comment: "Question: kailangan ba ang presensya mo sa ball? I think no one would notice if you were there or not. Sana nagpahinga ka na lang wala naman makaka-miss." Coleen left the classiest clapback ever: "Hindi po. I just really wanted to be there! I didn't wanna miss it over food poisoning, and I wasn't gonna let all the stress steal my joy that day." 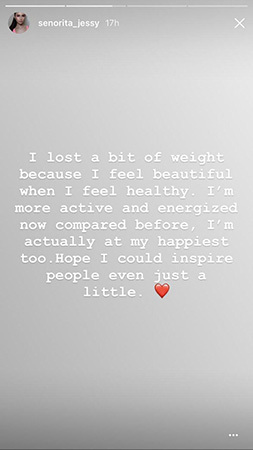 Through a series of Instagram stories, Jessy Mendiola aired out her frustrations over hateful comments she received on social media after she shared her progress. 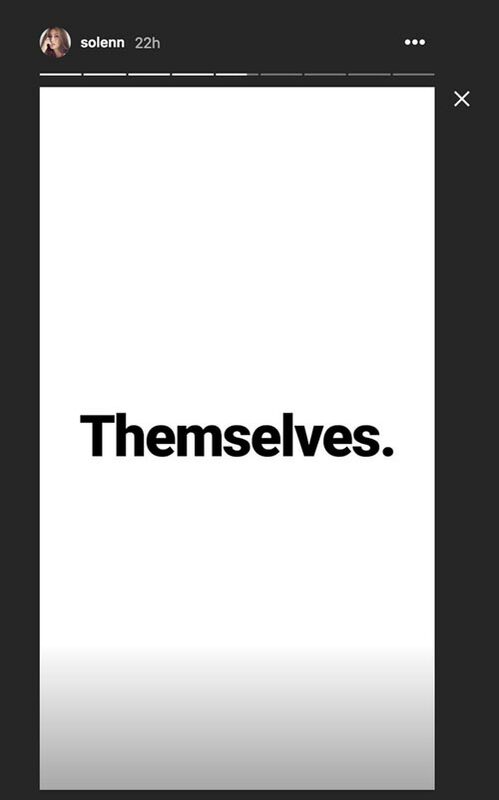 Solenn Heussaff has had enough of bullying of any kind, and we totally agree with her! 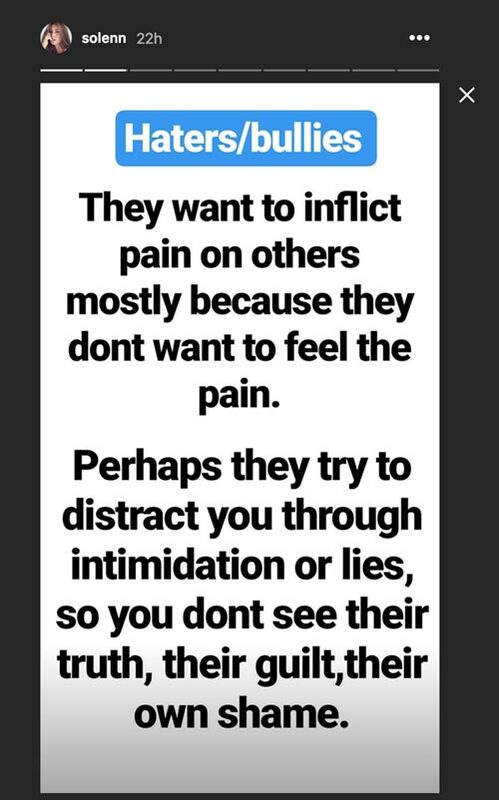 The actress shared her thoughts about haters, saying in part: "They want to inflict pain on others mostly because they don't want to feel pain." 10. Janine Gutierrez's winning answer to a follower who said she looked "gay:"
An anonymous Instagram user told Janine Guttierrez, "Mukha ka na pong bakla." Janine proved that calling her "bakla" was not demeaning at all because she replied, "A compliment! Ang gaganda nilaaaaa! Mas maganda pa sila sakin!" 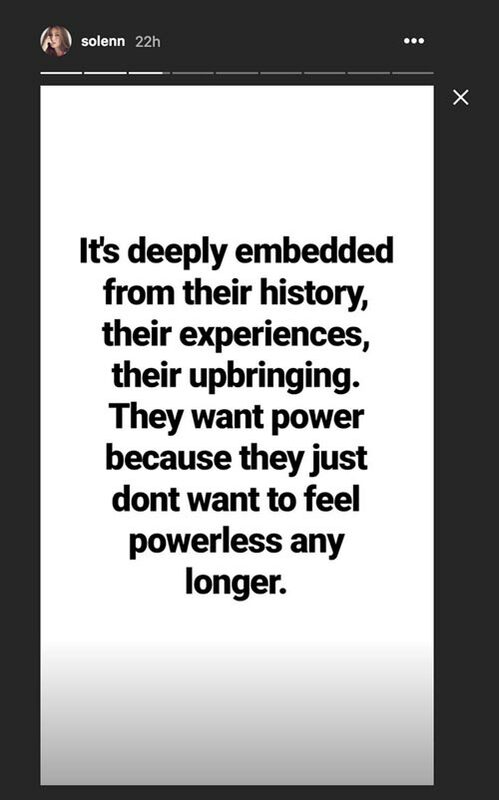 And THAT is how you shut down all the negativity from social media!